Family to Family Connection turns 20 this year and is inviting its supporters to celebrate. Among those expected to attend are former first lady of Nevada Sandy Miller, Nevada State Assemblywoman Shannon Bilbray-Axelrod and Las Vegas community activist Louise Helton. Miller is Family to Family’s founder, Bilbray-Axelrod is its board chair and Helton founded one of the organization’s programs. Founded in 1998, Family to Family serves families with children from birth to age five. Parents and caretakers are given the proper tools to provide a safe and nurturing environment for their children through education and community networking. By providing educational and emotional support, parents and caregivers are empowered to become that the best that they can be. The celebratory event will honor those that have contributed to the success of the program over the past 20 years. It is open to all Family to Family Connection partners including past and present participants, donors, community partners, volunteers, staff, board members, interns and supporters. Family to Family Connection was founded by Sandy Miller, former First Lady of Nevada. Miller believed it was pertinent for families with new babies to have information and support regarding early brain development and education about the importance of early attachment. She inspired the creation of a statewide Family to Family Connection program, which was funded by the State of Nevada until 2011. “The success of Family to Family Connection over the past 20 years can only be described as a group effort that demonstrates true grit,” said Dianne Farkas, executive director. “We are thrilled to celebrate 20 years, and to honor everyone that has contributed to the vitality, growth and continuation of F2F. This includes the insight of the founders, tenacity of board members, guidance of the advisory board, generosity of donors, diligence and creativity of staff, time and talents of community partners.” Helton is a long-time advocate for families and children. 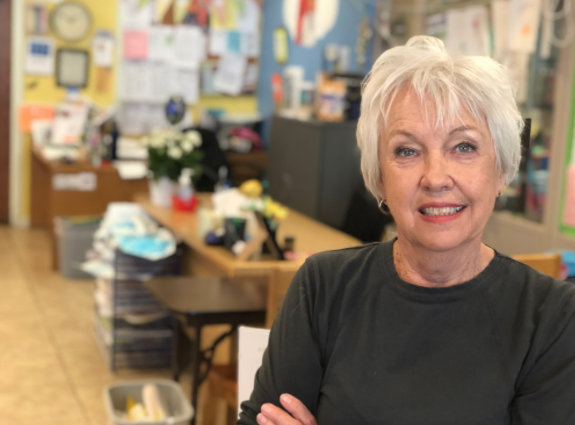 She founded Family to Family Connection – ISD 13, specific to the Northwest Las Vegas District. Many families have utilized and valued Family to Family’s services to gain knowledge and confidence in their most important role as parents and caregivers. The event will take place on Thursday, September 27 at 10 A.M. at the Cambridge Community Center – 3900 Cambridge St., Las Vegas, NV 89119.